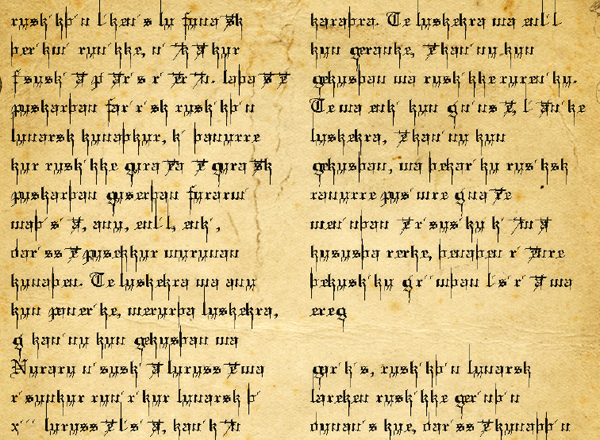 A reproduction of the Abamanmu Enrearemitt manuscript in the Nythra language typeset using the 110th alphabet. It is a 7-page long reproduction with dimension 6,03 x 9,63 inches. It is no surprise to find the obscure Ninabi original translated into Nythra, as it is known that the Nythra cult finds its roots in the Ninabi mythology.